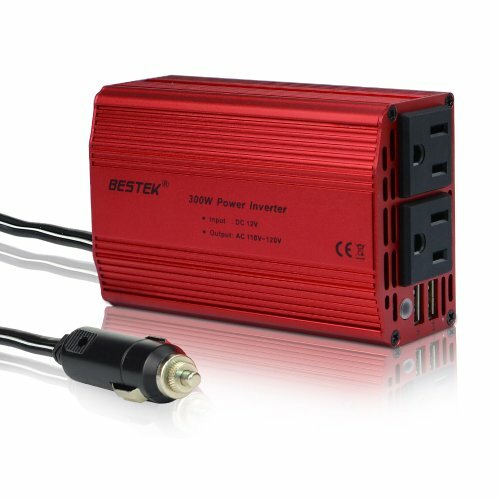 BESTEK® Advantage: #1 Best Seller in Power Inverters. 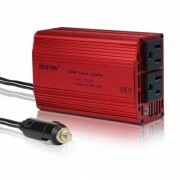 The highest average review rating of any power inverter brand. 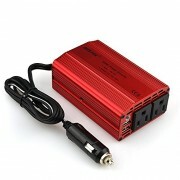 This item is 300W power inverter with 2 USB ports and 2 AC outlets. 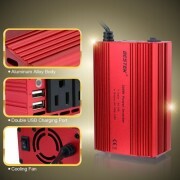 Chargers: both USB and AC wall warts. Max 3.1A output for mobiles. Rated Power: 300W. 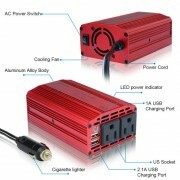 No loose parts to worry about, the plug is permanently attached and plugs directly into cig adapter. 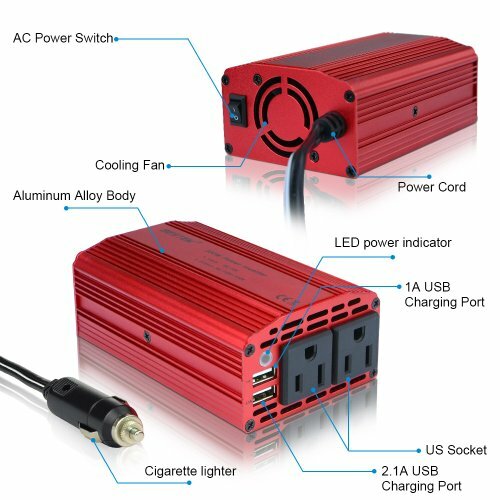 • Devoted to designing a portable with high performance power inverter gained the highest average review rating. • Providing best quality products of newly-fashionable and superior with professional customer service and end-users. 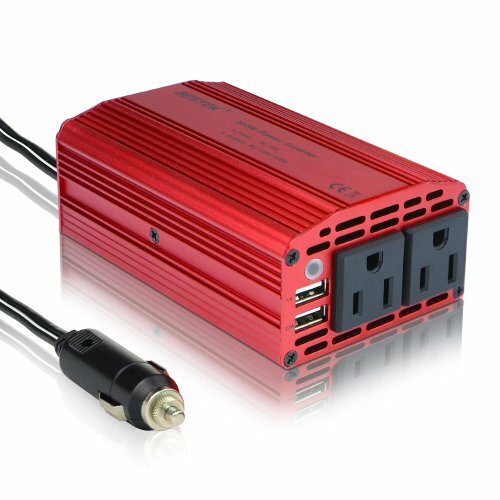 • Get to know its voltage using range, not allowed high power electric devices such as hair dryer, electric heaters, curling iron and etc. 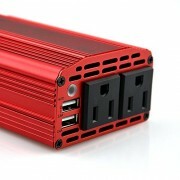 Good to Know: with 12 Months Warranty and Provide Friendly, Easy-to-Reach Support. Compact size and feel of this unit. The right 22″ length cord reaches the passenger seat just fine from the console. Road Trip Must-have with wide range of application. 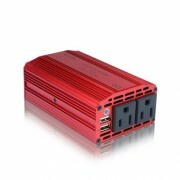 Full protection features and Auto-shutdown keep your appliance and car from damage.